Happy Sunday friends! I guess I’ve fallen out of the habit of doing these “Sunday Scriptures” due to my crazy schedule (I don’t like to rush them since they are so important to me to share my heart with y’all) but I’m hoping that I can get a little more into regularly scheduled programming soon! As I’ve shared on here before I’ve been in a “waiting period” of my life for quite some time and for months on end it’s felt like I am on the cusp of a breakthrough or big change in my life, but alas one hasn’t come yet. And y’all if you are in that period too- waiting for something, anything, to happen- girl I feel you! It can be hard, and downright frustrating and discouraging at times. 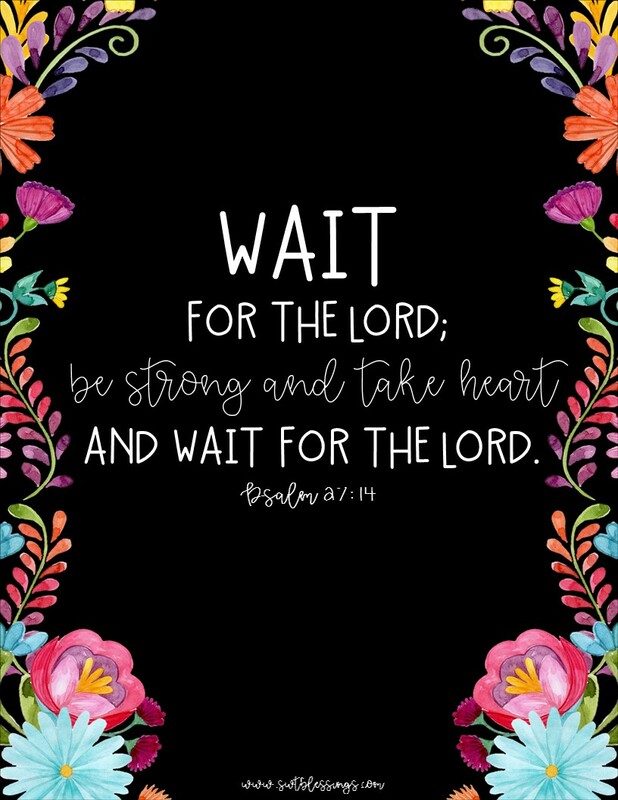 But as this verse in Psalms says, we must “take heart and wait for the Lord.” Even in times that feel stagnant and we feel stuck, God is working on our behalf. Things are shifting and changing- even if we cannot see them yet- and when that breakthrough comes and we see what He’s been planning all along it’s going to be better than we could have ever dreamed. So take heart in the waiting friends, I’m right there with you! And together we can be strong and wait on the Lord to reveal what He’s been cooking up. How sweet it will be! Next Post Ric Rac Dress on the Beach + Nordstrom Giveaway! Such a lovely read. Thanks for sharing dear! I missed your sunday scriptures! Definitely start my week off well!